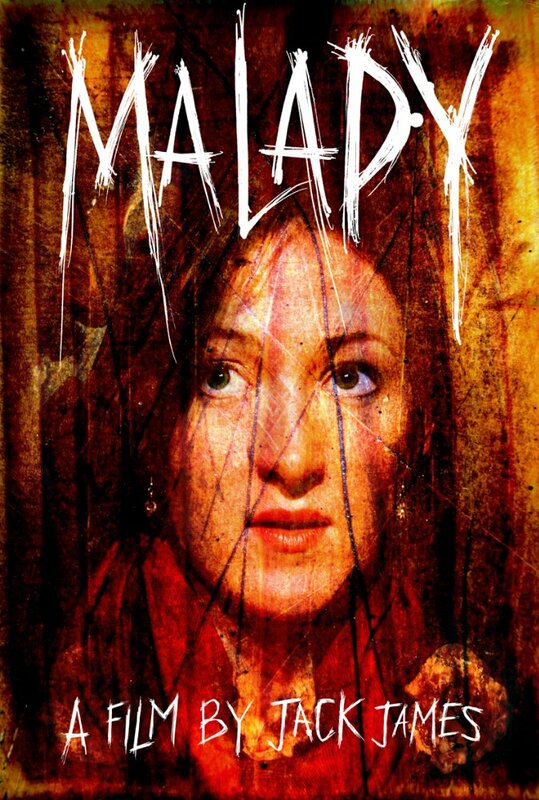 Hitting VOD platforms of every sort (Amazon, iTunes, Playstation, XBox) is the unshakable and one of a kind MALADY. Holly's mother dies in the opening minutes of the film and her final words to her are "find love". Out in the world on her own for the first time she stumbles about until she falls into a relationship with lost soul Matthew. As the pair grow closer and closer word comes that Matthew's mother is dying. Returning home to care for the woman the pair begin to spiral under her dark influence. 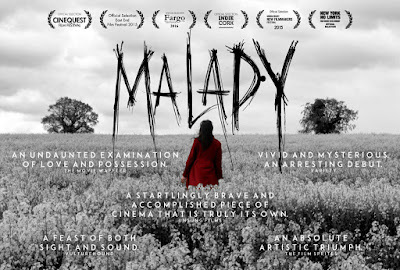 Shot in moody tones and uncomfortable close up MALADY is a dark visual delight. This is the sort of film that one could pretty much understand what the emotion of the film, if not the plot. The images are all and they are so compelling that I am left to wonder how much of the film's success is due to them since there is very little dialog. Words are not important here only actions. Of course the film wouldn't work if it wasn't for the performances which are all real to the point of pain. Roxy Bugler's work as Holly is monumental. It is heartbreaking and horrifying. She gives one of those performances of the ages as a damaged soul looking for love. It is easily one of the five best performances of the year and a clear reminder how Oscar and the major acting awards completely avoid the small scale films. Bulger's work alone makes this a must see. MALADY is a must see. If I don't discuss the film in great detail it's simply that the film is not something you discuss it is more something you feel. In trying to write the film up I found that words can not truly do the film justice. I can not explain how I felt while watching the film any more than I can explain what being in love is like if its never happened to you. Until you experience it you can't know what it means. Go see the film. 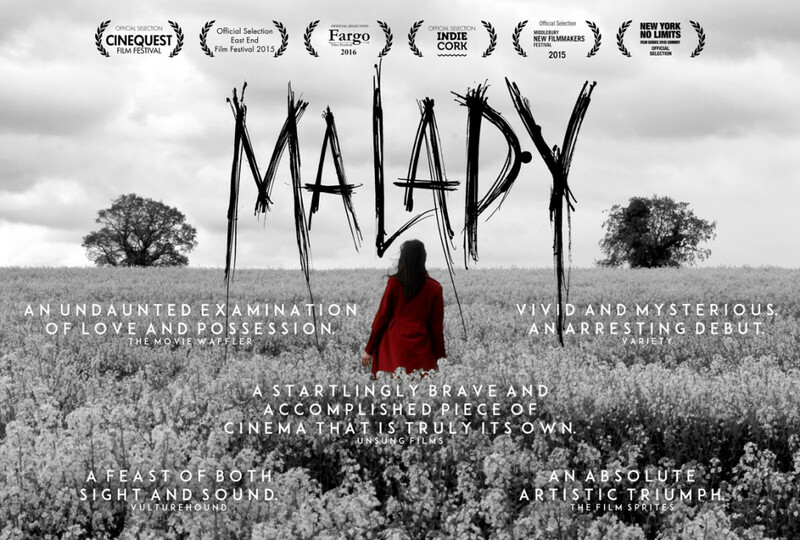 Go experience MALADY's moody wonders and see what great filmmaking is all about.